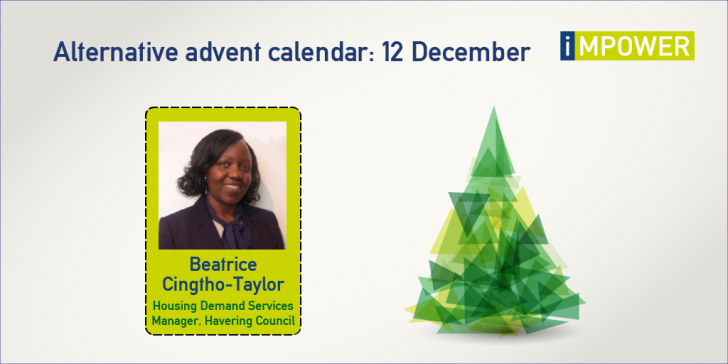 Beatrice is an extremely committed manager, who has been very forward thinking in how she and her team have been preparing for the Homelessness Reduction Act (which commences in April 2018). Beatrice was keen to understand the potential impact of the Act on demand, and was also keen to be creative in terms of putting appropriate mitigation measures in place. For example, she brought about positive change in how the service works with partners, in order to better support citizens to maintain tenancies. It is clear that Beatrice is an excellent leader who is highly skilled at motivating her team – and she also inspired us.